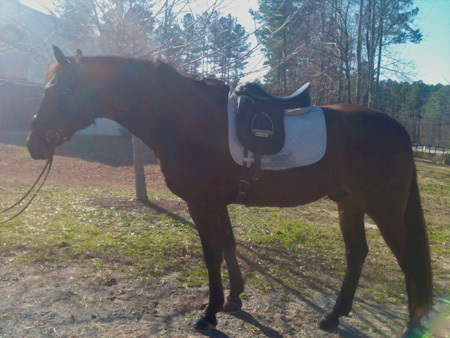 Congratulations to Glenna White of Charlotte, N.C. on her purchase of Baltic Valentine aka “Lukas” from Becky Skahill of Greenville, N.C. She trains and stables Lukas with dressage trainer Joan Baron in Waxhaw, N.C., and says he has settled in quite well there. Victory Hill Farm wishes them lots of continued training success. Posted in News on December 3, 2011 by danruccia.